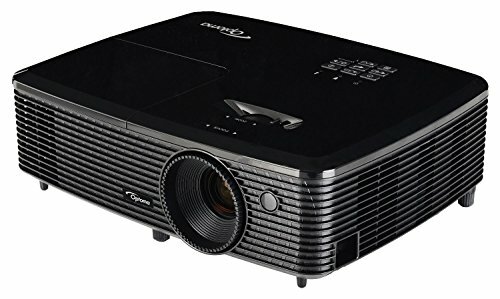 The Optoma HD142X is a dynamic and cost-effective 1080p Home Theater Projector packed with an array of features including 3000 lumens, 1920 x 1080 FullHD Resolution, 1.1x Zoom, sRGB support, and 23,000:1 contrast ratio. The HD142X is the perfect Home Theater Projector for watching Blu-ray movies on movie night or Games of Thrones on a Sunday Evening. The 8000-hour lamp life leads to extended hours of viewing with limited need for maintenance and a lower overall cost-of-use without sacrificing outstanding picture quality. 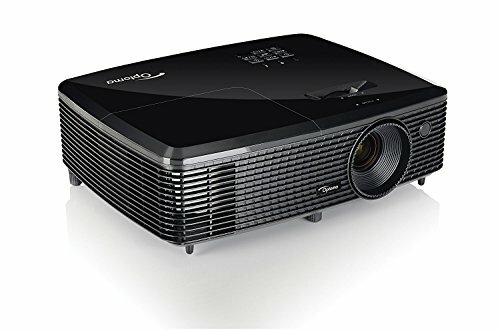 The HD142X is a great projector for gaming platforms including Xbox One, PS4, and your Personal Computer. The advance optical lens, crisp 1080p graphics and deep blacks produce detailed and vivid graphics and textures. sRGB color profile enables rich accurate color, based on the primaries of Rec.709 HDTV specification when used with a PC, Mac, or any sRGB compatible source. It features the latest and greatest digital media interface with support for MHL v1.2-enabled HDMI ports and is compatible with MHL devices such as Optoma’s HDCast Pro, Roku Streaming Stick and Smart Phones which connect directly to the projector to playback music and video, view pictures and even share web pages and other user generated digital media content.